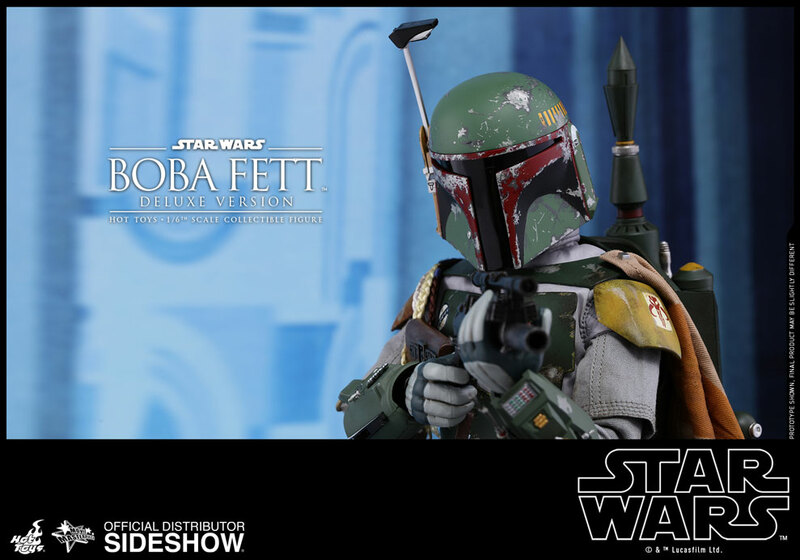 Boba Fett left an unforgettable impression on many Star Wars collectible fans when he was first introduced on the silver screen in Star Wars: The Episode V The Empire Strikes Back. 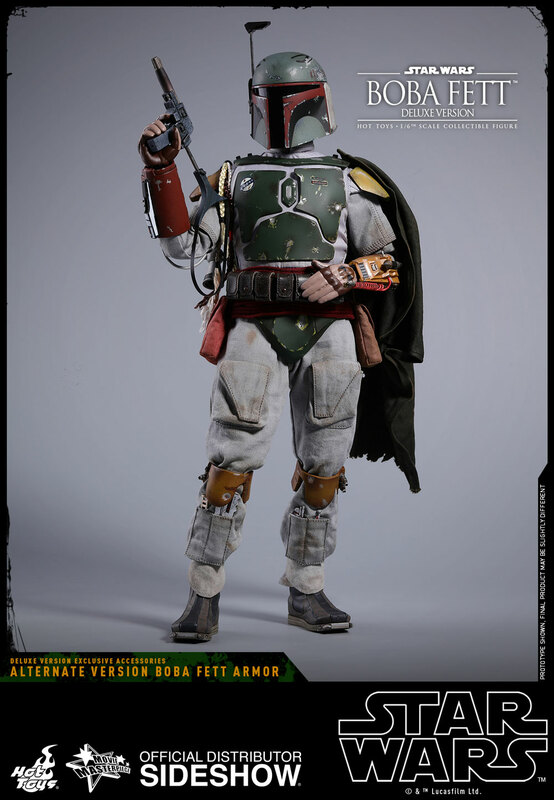 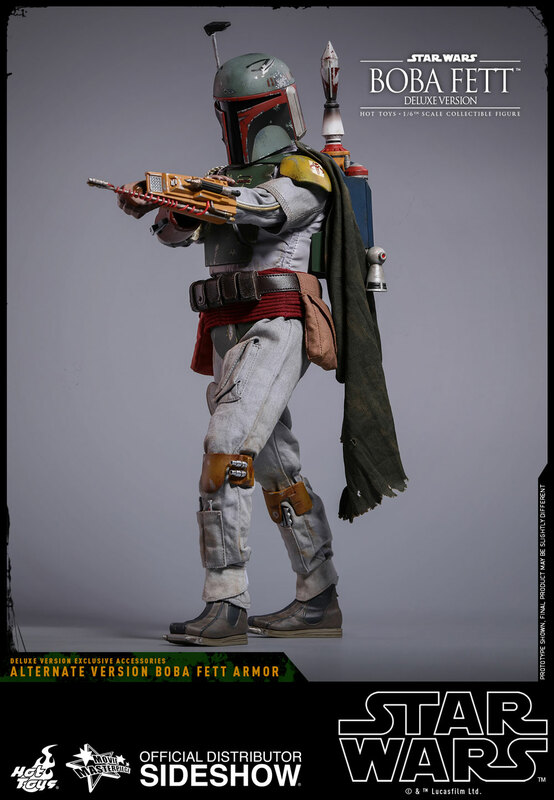 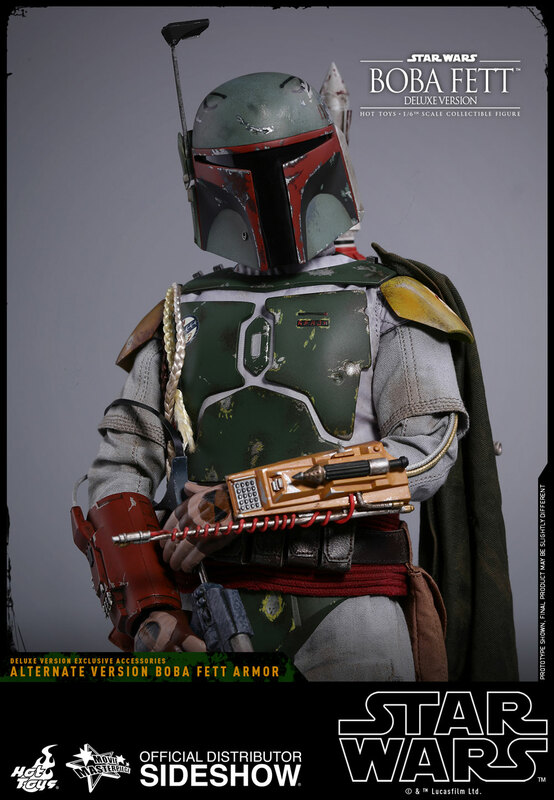 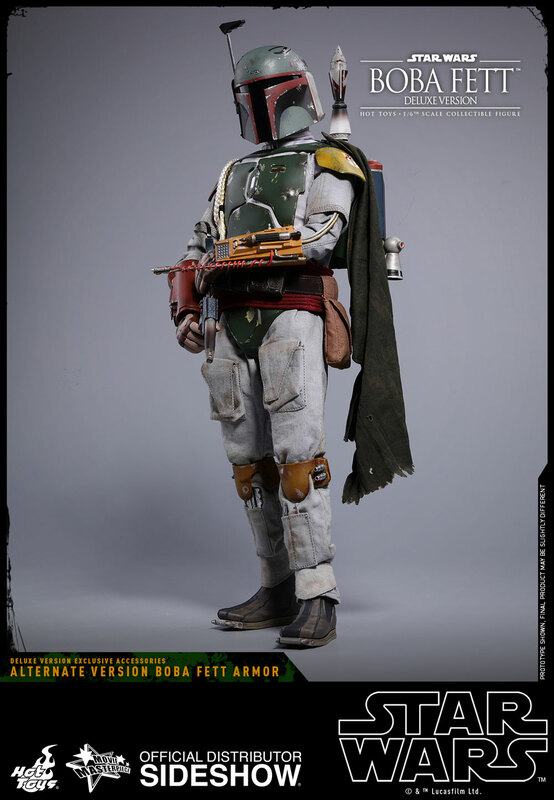 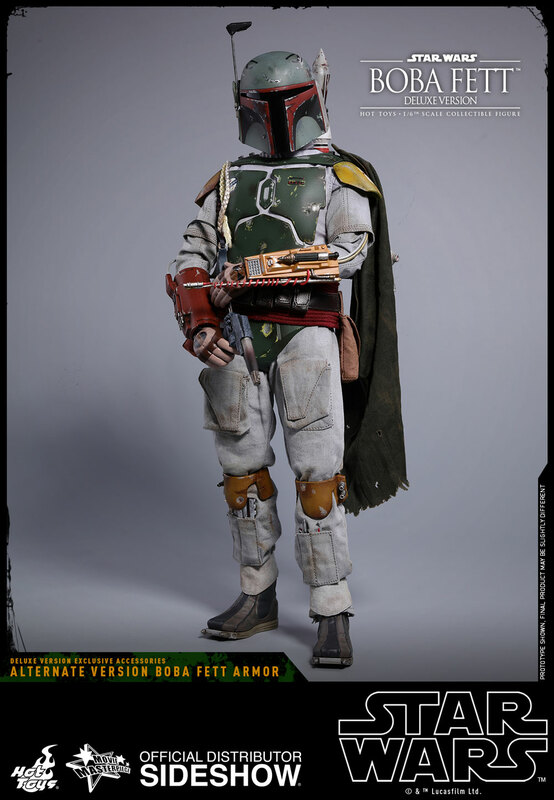 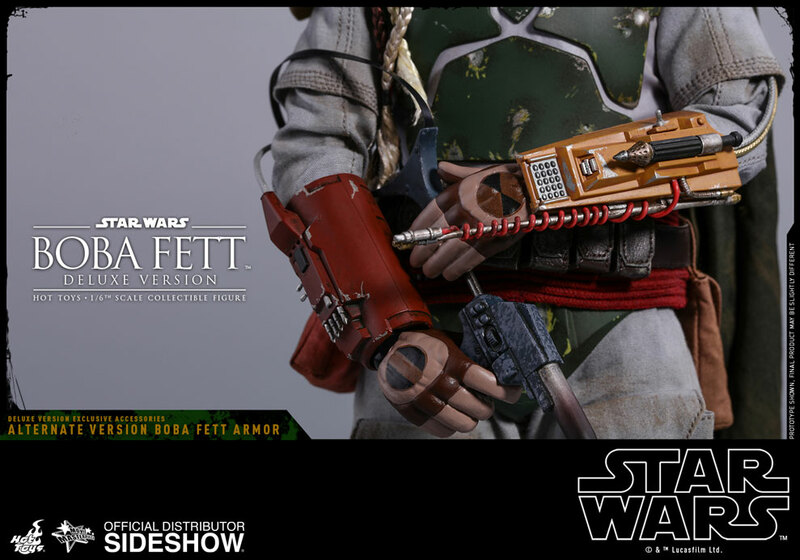 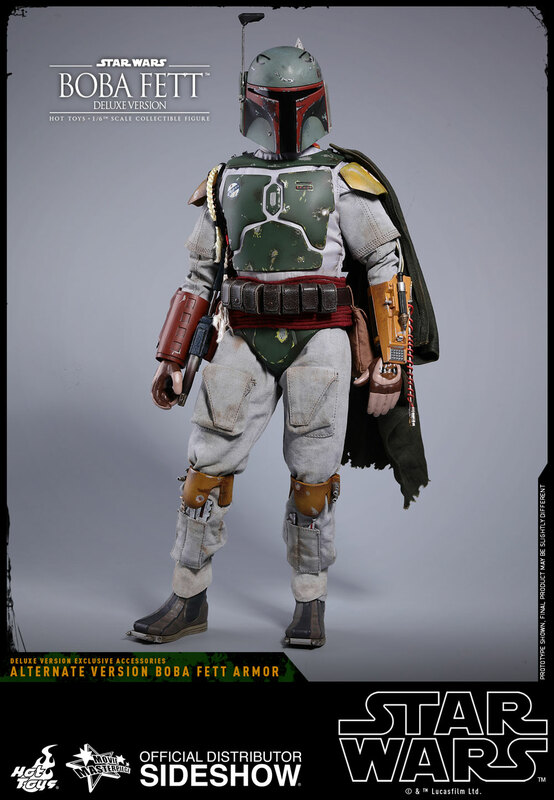 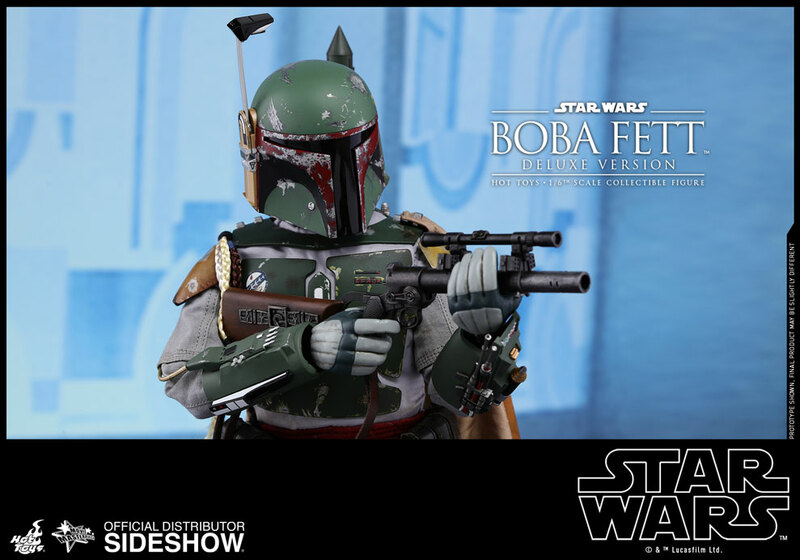 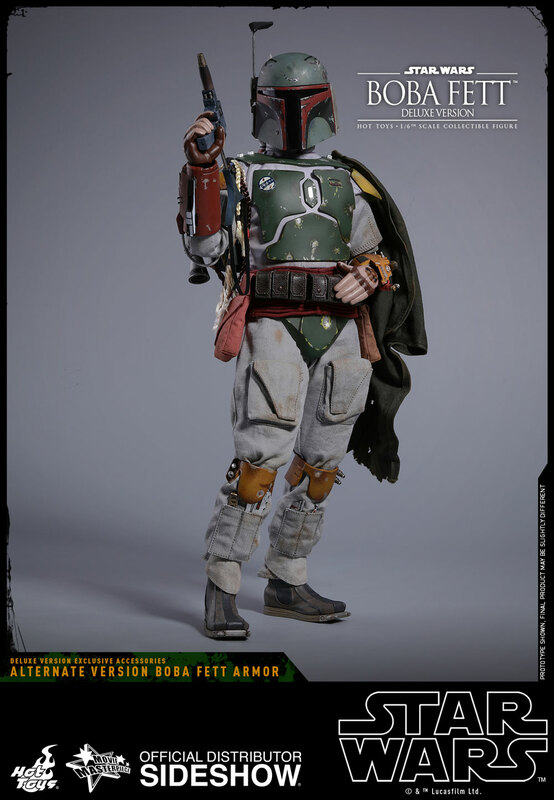 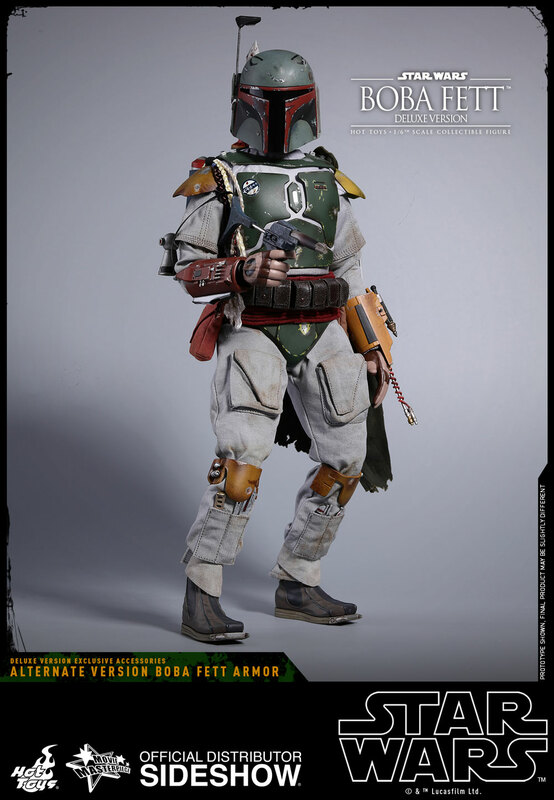 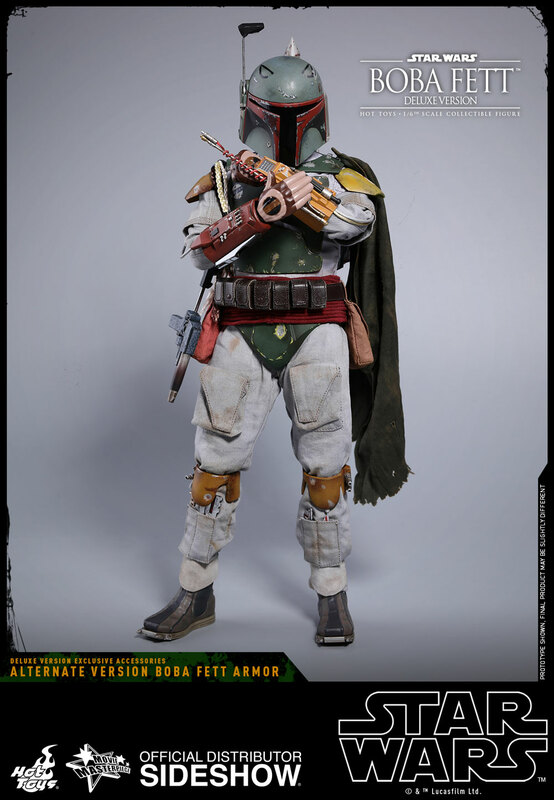 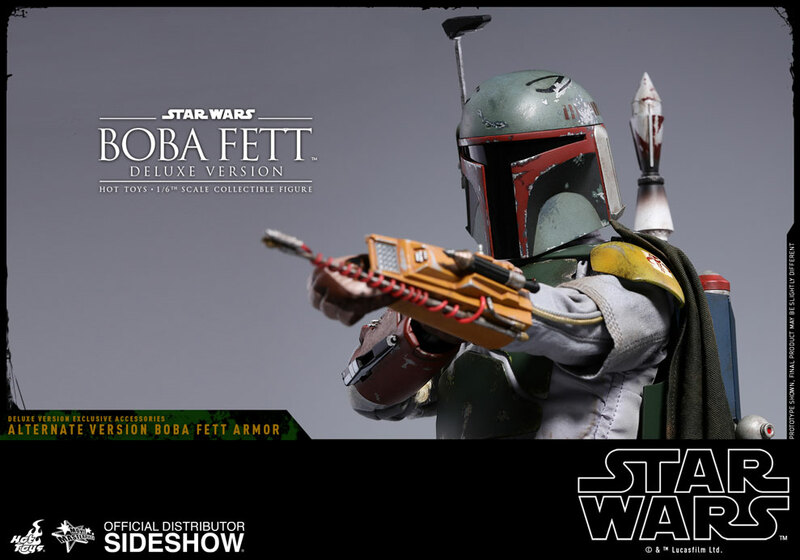 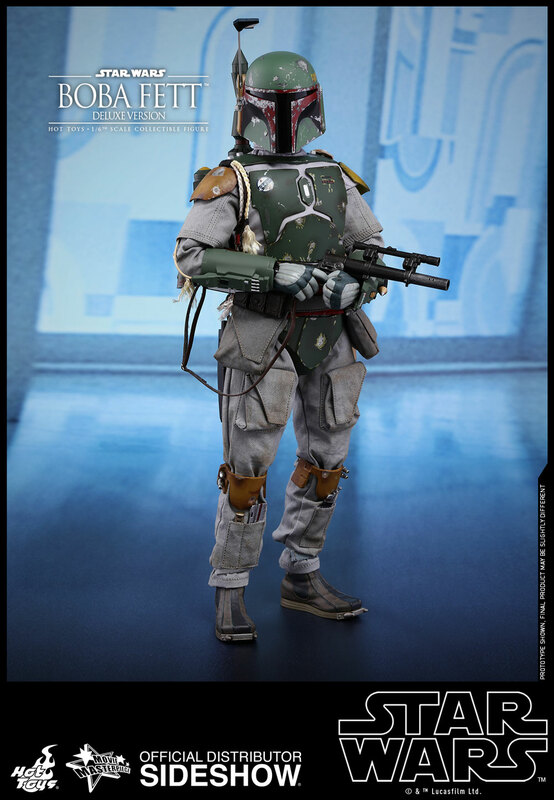 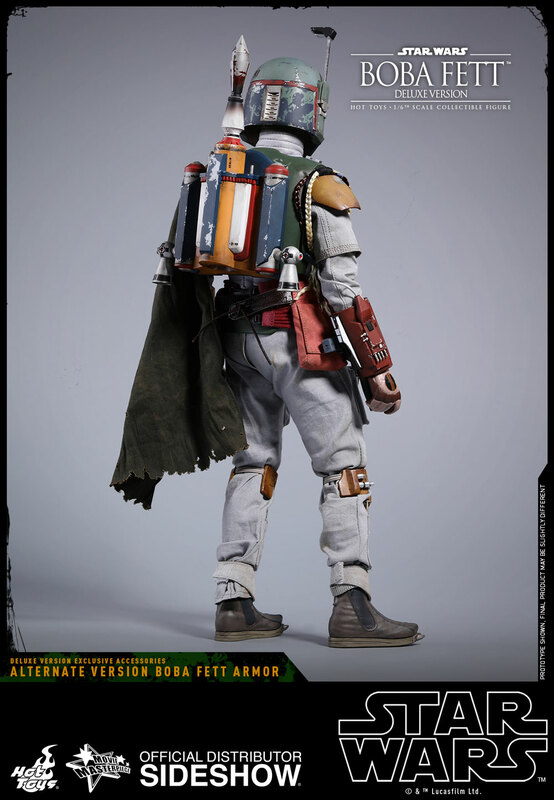 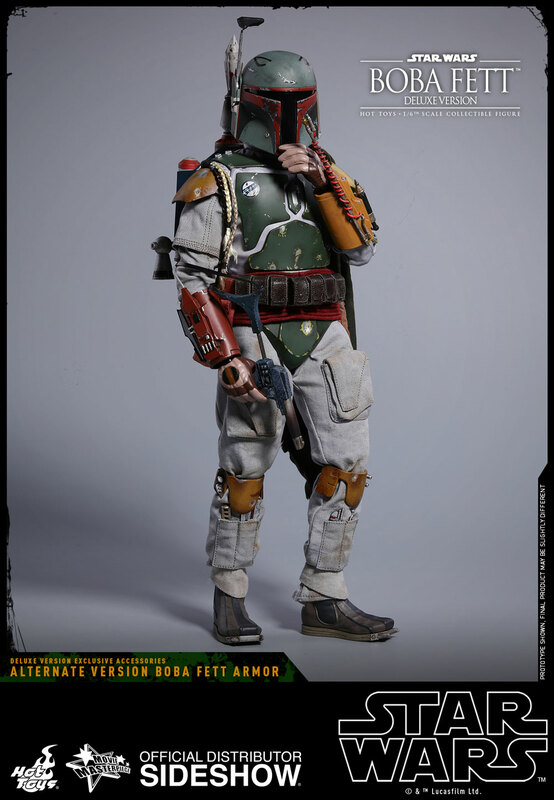 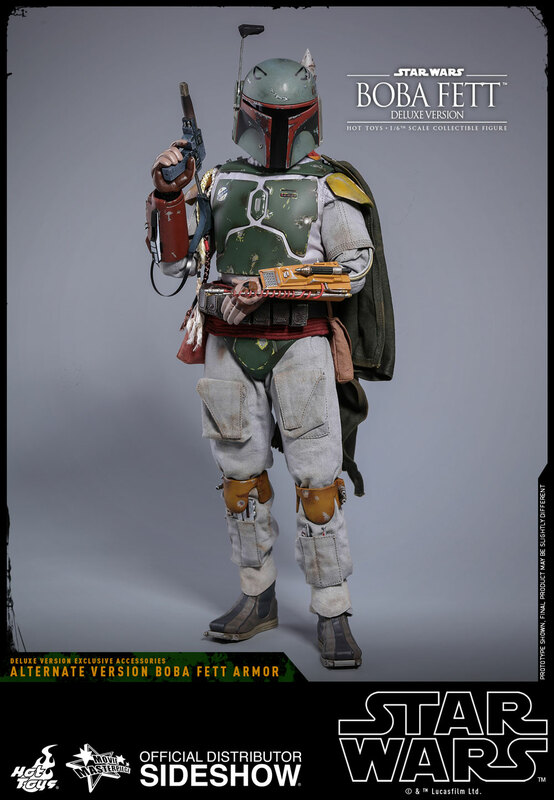 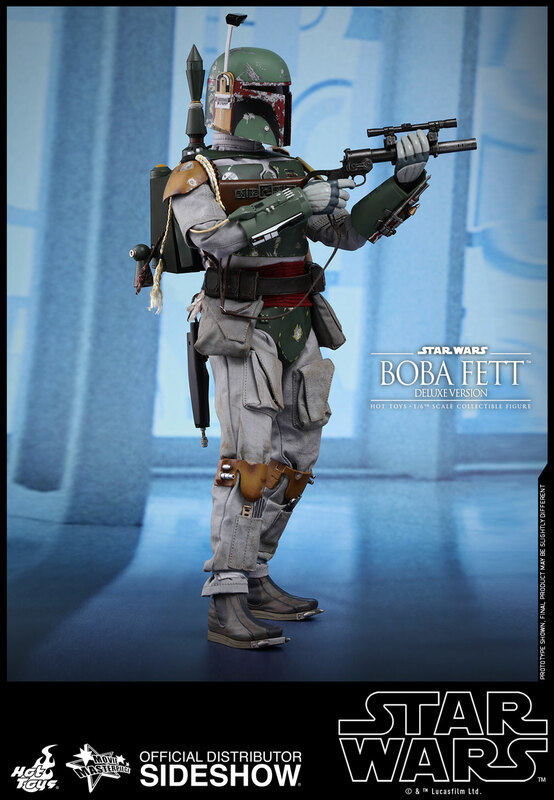 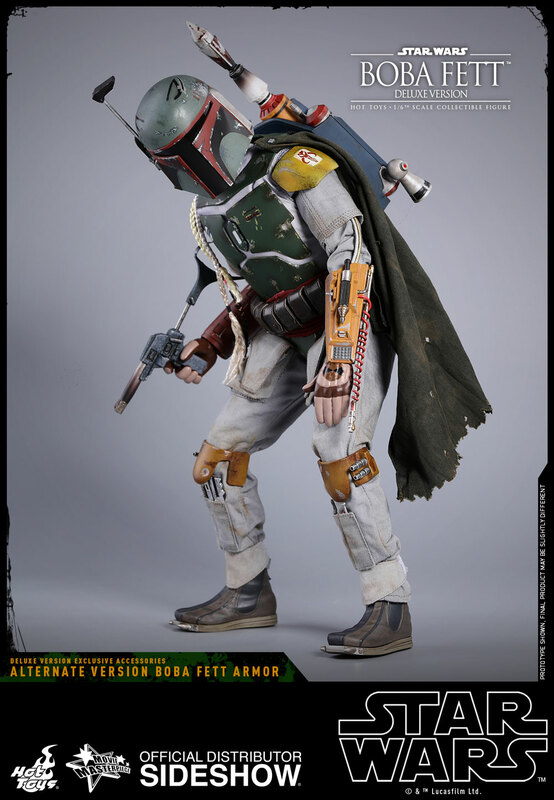 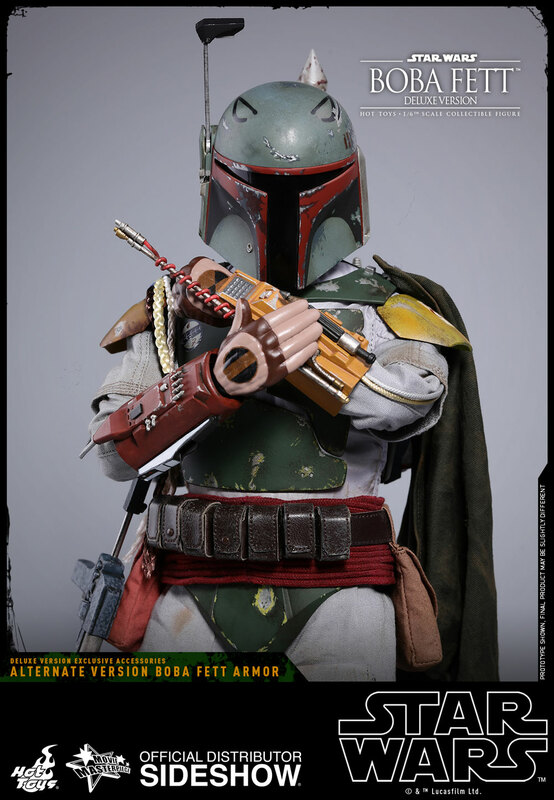 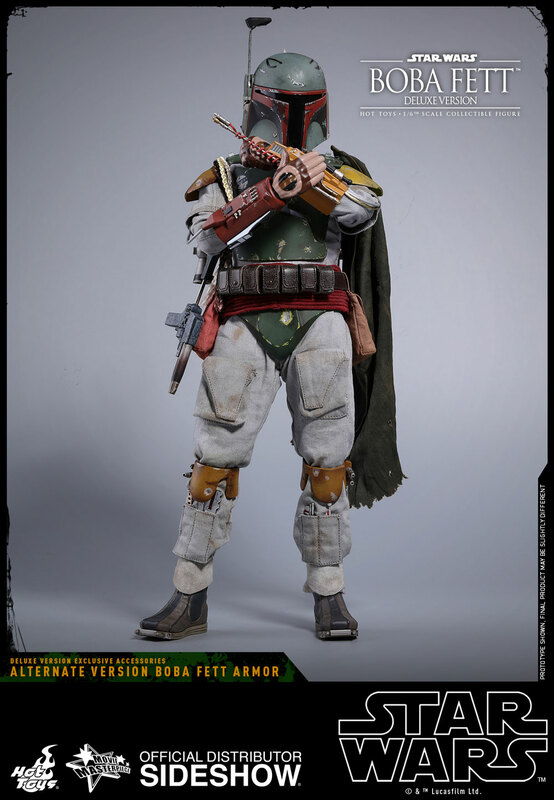 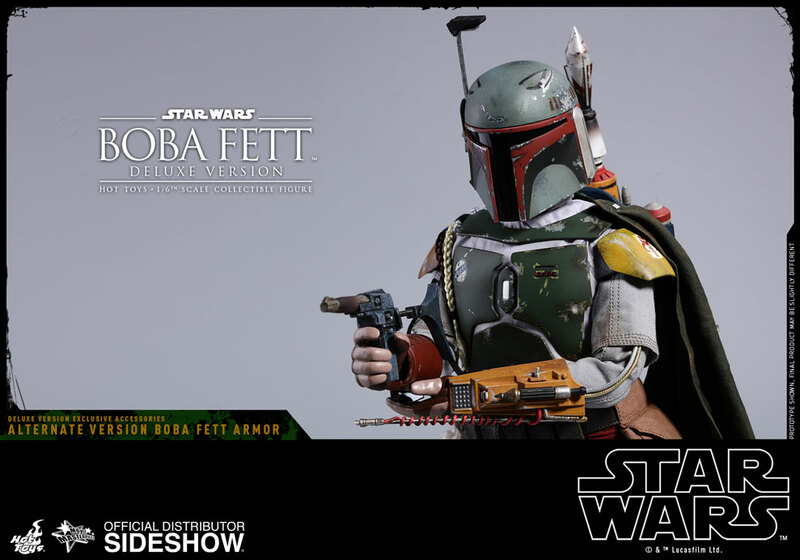 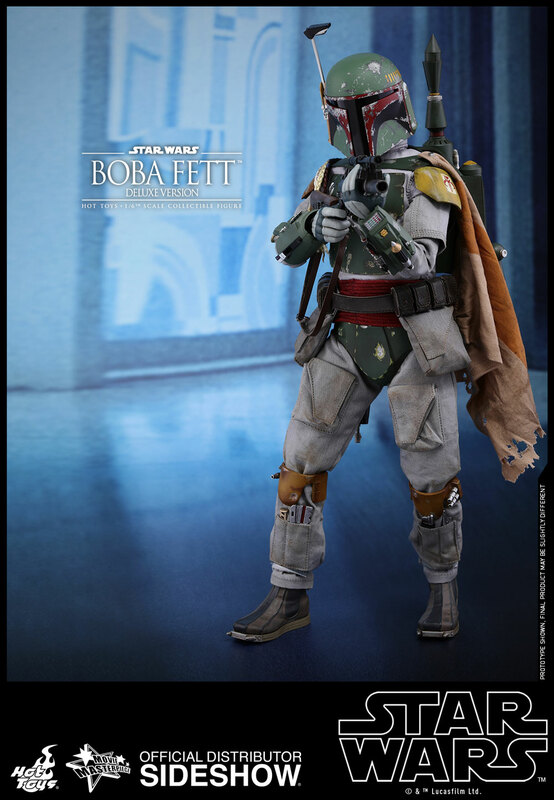 Sideshow and Hot Toys are thrilled to present a very special Deluxe Version of the sixth scale Boba Fett collectible figure that will surely excite many Star Wars diehard fans with its unique display option! 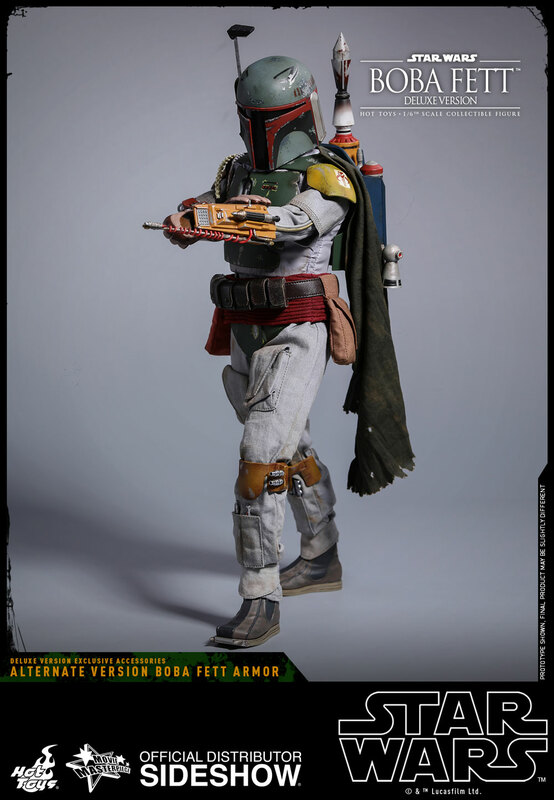 "He's worth a lot more to me"
Pure excellence!!!! 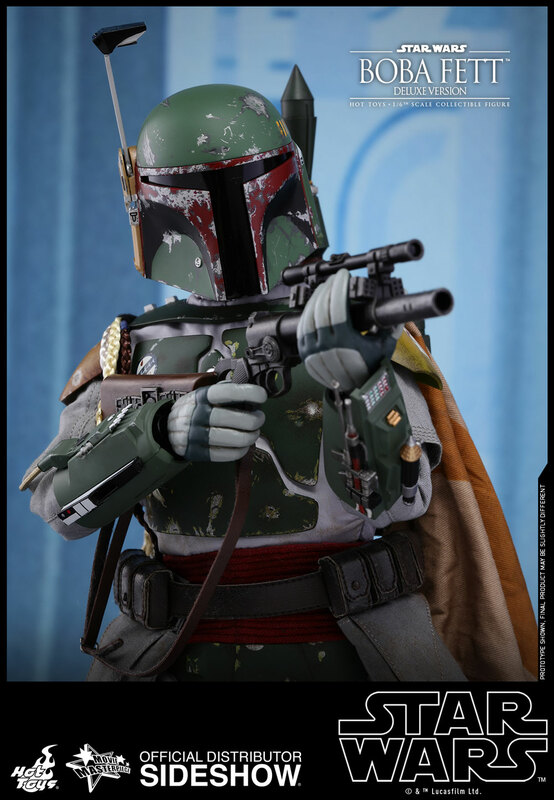 Boba Fett has and always will be one of my favorites from the trilogy proving that you don't need a lot of screen time to capture the essence. 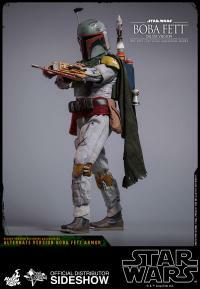 Detail, articulation, accessories... Flawless! 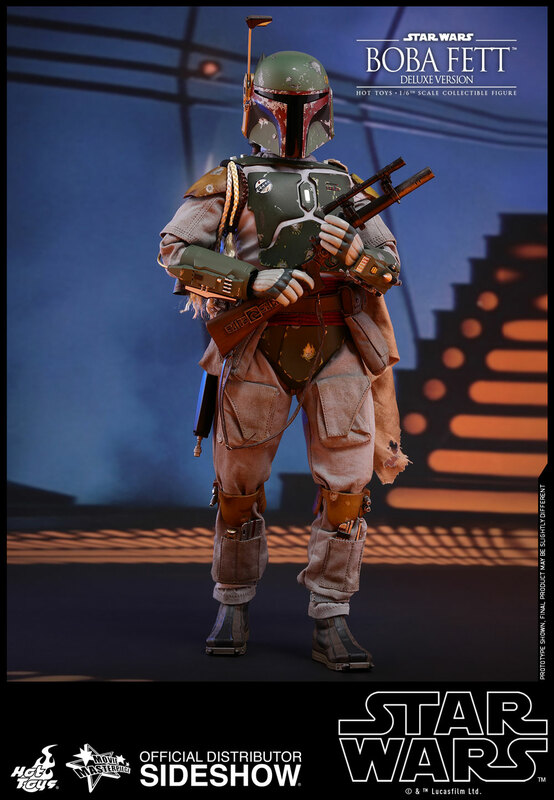 What can I say that hasn't aready been said? 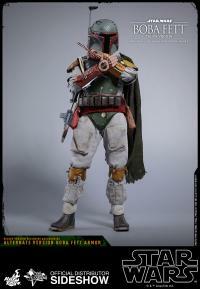 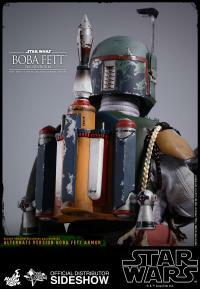 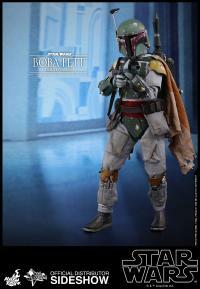 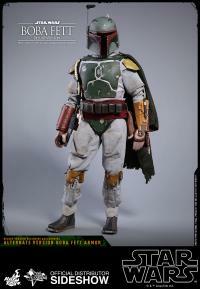 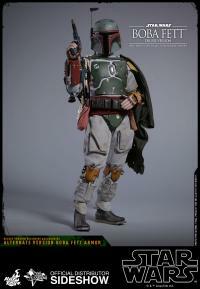 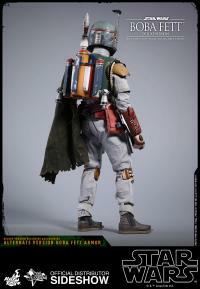 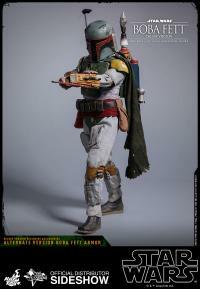 Boba Fett is an amazing character, and Hot Toys has captured all his epic awesomeness with this incredible figure. 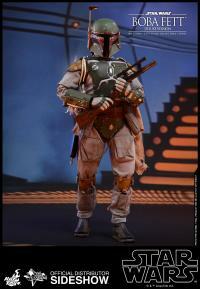 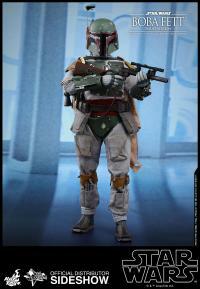 Great Verson of Boba Fett!! 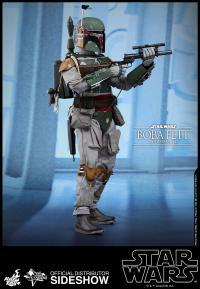 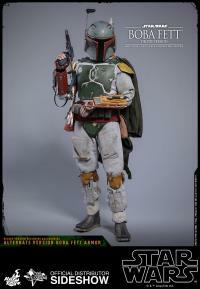 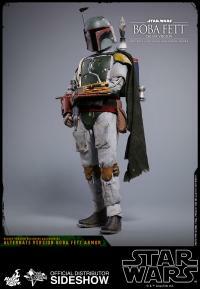 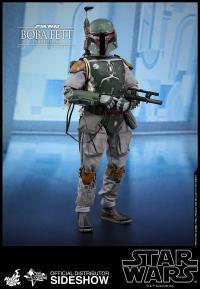 Hot Toys did a great job on this version of Boba Fett...I love the attention to detail and weathering paint apps. 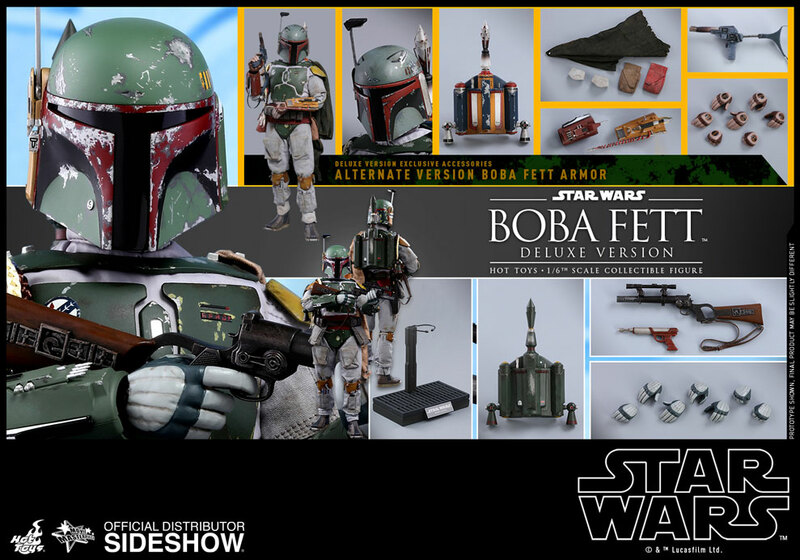 I have both ROTJ DX and ESB DX versions. 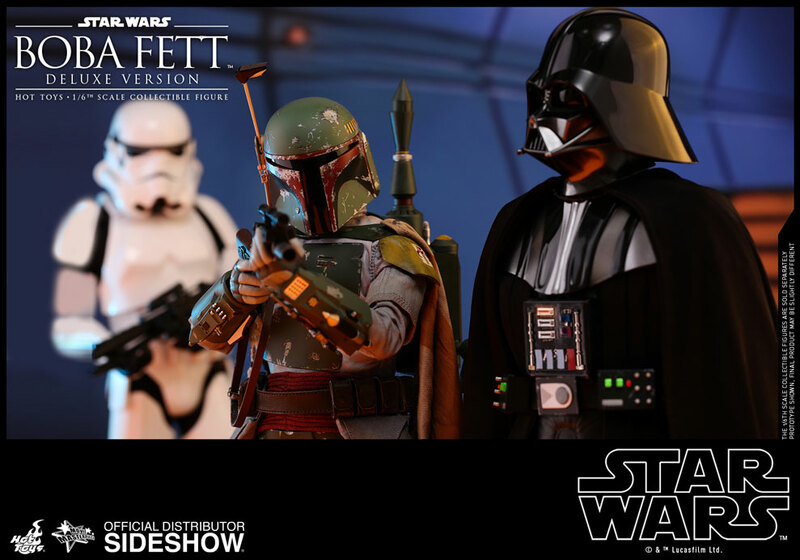 Both are great and accurate to each film down to the shape of the helmets. 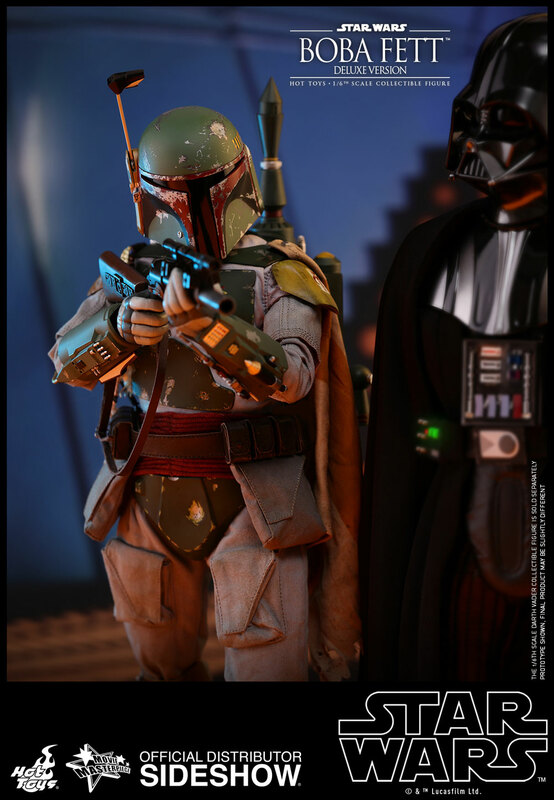 Capturing these details is why HT figures are worth the $$. 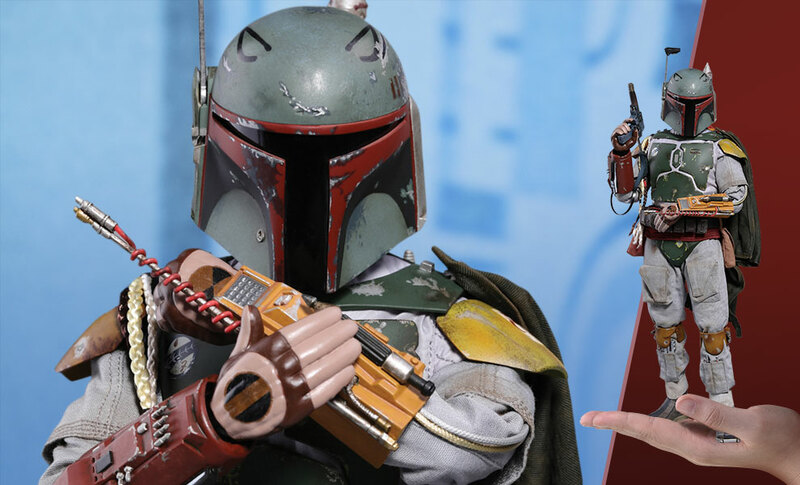 Simply the best. 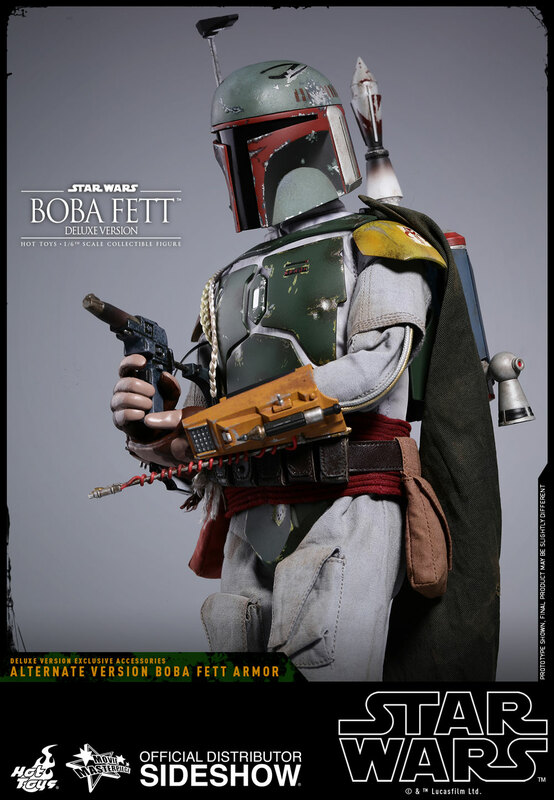 The alternate version gives me a nostalgic feeling... with his yellow arm gauntlet and snub blaster. 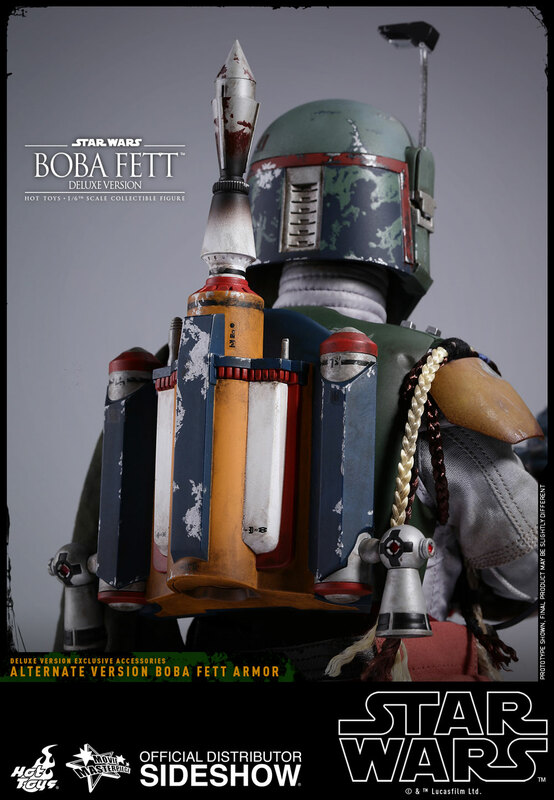 Just like the old 12" toy... just made a million times better! 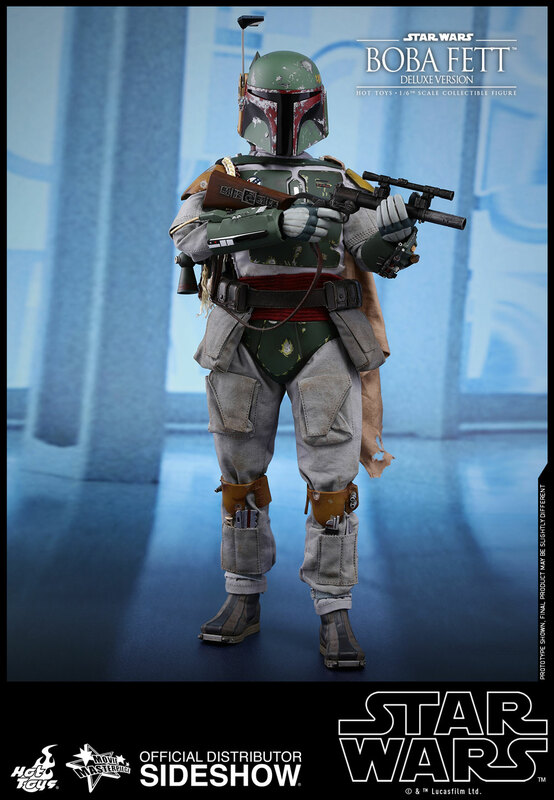 This figure is so awesome I had to order two to display both outfits. 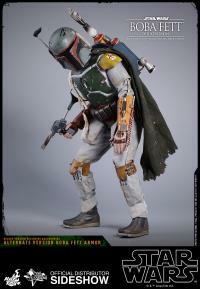 Thank you Hot Toys and Sideshow!